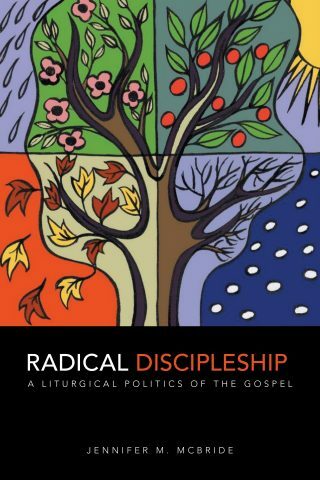 Reminiscent of Bonhoeffer’s Discipleship, Jennifer McBride’s Radical Discipleship utilizes the liturgical seasons as a framework for engaging the social evils of mass incarceration, capital punishment, and homelessness, arguing that to be faithful to the gospel, Christians must become disciples of, not simply believers in, Jesus. The book arises out of McBride’s extensive experience teaching theology in a women’s prison while participating in a residential Christian activist and worshipping community. Arguing that disciples must take responsibility for the social evils that bar “beloved community,” Martin Luther King’s term for a just social order, the promised kingdom of God, McBride calls for a dual commitment to the works of mercy and the struggle for justice. This work seeks to form readers into an understanding of the social and political character of the good news proclaimed in the Gospels. Organically connecting liturgy with activism and theological reflection, McBride argues that discipleship requires that privileged Christians place their bodies in spaces of social struggle and distress to reduce the distance between themselves and those who suffer injustice, and stand in solidarity with those whom society deems guilty, despises, and rejects—which makes discipleship radical as Christians take seriously the Jesus of the Gospels.